Marco was born in Athens, in 1973. He holds a BA in Politics and International Studies from the University of Warwick and an MPhil in European Studies from Oxford University. Marco started his career in 1996 as a marketing strategist at leading advertising agencies Grey Advertising, McCann-Ericsson and DDB in London, where he developed global communication strategies for brands such as Nestlé, Smithkline Beecham, Johnson & Johnson and Sony Electronics. 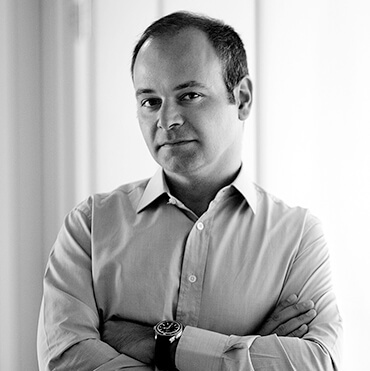 In 2002, he returned to Greece and, along with Alex Vratskides, co-founded Upstream. Since then, Upstream has evolved into a leading technology company within the field of mobile commerce operating in 42 countries. Marco served as Upstream’s CEO until June 2017 and is now Chairman of the Board. Marco is an active angel investor and member of the board in technology companies such as Persado, Workable, Intellibox, Procureship and Hellas Direct. In parallel, Marco is a board member at Endeavor and the Foundation for Economic and Industrial Research (IOBE), and diaNEOsis think tank. He also sits in the start-up and export committees of the Hellenic Federation of Enterprises (SEV). He has served as Vice-Chairman of the Hellenic Association of Mobile Application Companies (HAMAC) and received the EY Greek “Entrepreneur of the Year” award, in 2013.